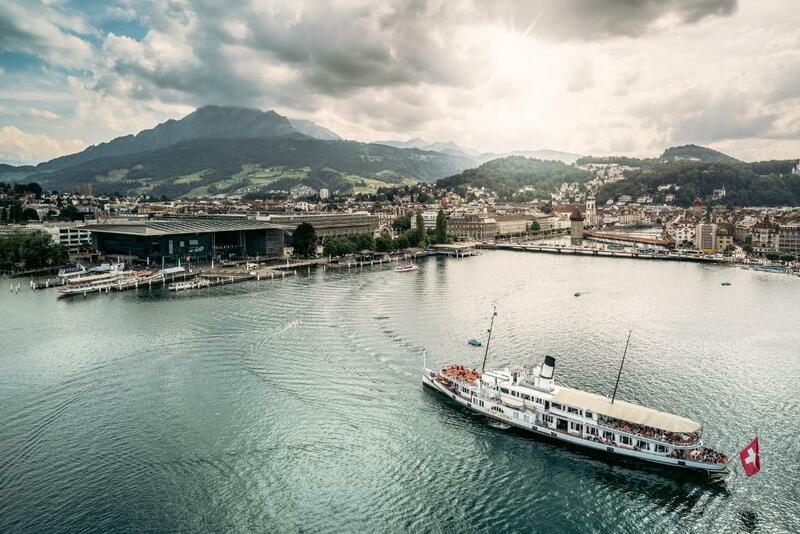 You begin the multi-day hike with a spectacular panoramic view of Lake Lucerne and the Lucerne central plateau. 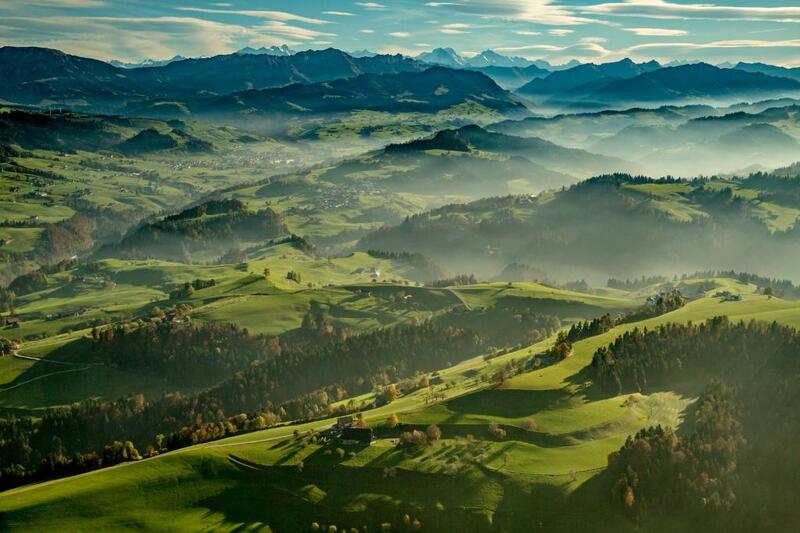 You then head towards the mountains of Central Switzerland and the Bernese Alps. The approach to the Pilatus itself is spectacular: boat from Lucerne to Alpnachstad, followed by a trip on the world's steepest cog railway to Pilatus Kulm. The initial leg of this three-day hike heads for the Mittagsgüpfi. Much of the white-red waymarked route consists of ridge walking offering views from the Swiss Central Plateau over the Jura to the Bernese Alps. The varied hike also passes rugged cliffs, boggy plateaus and evergreen valleys. Look out for the colonies of ibex between the Tomlishorn and Widderfeld and near the Stäfeliflue and enjoy refreshing moments beside the river in the Schlieren valley. Challenging sections are equipped with chains. 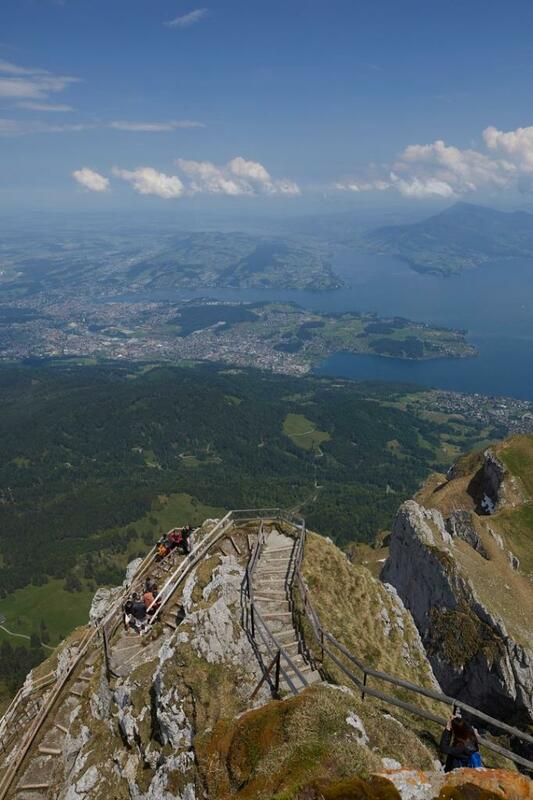 From Pilatus Kulm you head for the Tomlishorn, the highest point of the multi-day hike at alt. 2128 m. The next section to Widderfeld is steep; some of it is equipped with with chains. On the way, look for the colonies of ibex that often to be found in this area. Ascents and descents alternate with ridge walking through a boggy plateau to the Mittaggüpfi at alt. 1916 m. This offers all-round far-reaching views of the Central Swiss Plateau and Jura, and of the Schreckhorn and Mönch in the Bernese Alps to the southwest. A secured descent with chains and wooden ladders to the Tripolihütte refuge follows. This is open all year round, though only manned on Sundays from mid-May to end-October in fine weather. Have a soup or coffee. The hike continues on to the Stäfeliflue, another hotspot for ibex. The last part of the first leg is downhill all the way to Gfellen where an overnight stay is recommended. The next day takes you via Oberbrüederemättli to Lauenberg. The path then leads down into the Schlieren valley. The section between Oberschlierental and Schwendi Kaltbad follows the river, a welcome change from the previous ridge walking. You can spend the night at the Schwendi Kaltbad restaurant, or the Berghotel Langis a little further on. Once you have crossed the Glaubenberg pass the following day, you are faced with the ridge between Sewenegg and Nünalpstock. The final leg of the multi-day hike consists of a long descent from alt. 1900 to 1200 m and your destination in Sörenberg. You might like to unwind in Sörenberg by spending the night there before travelling back to Lucerne, Kriens or Alpnachstad. Stay the night at Pilatus Kulm. Set off early in the morning and look out for the ibex that populate the Pilatus. Fee-paying car parks at both termini. If driving, you can park at the bottom termini of the Pilatus aerial cableways (Kriens) or cog railway (Alpnachstad). 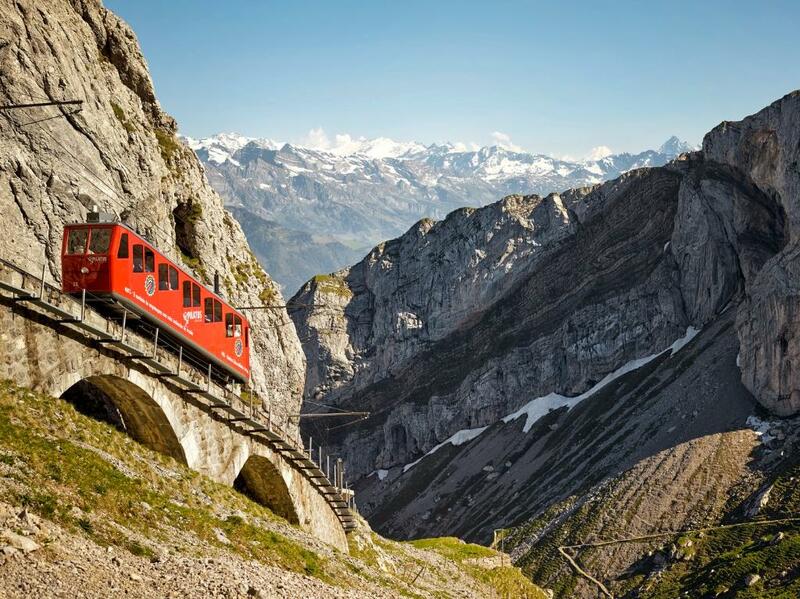 Travel to Pilatus Kulm by aerial cableway or cog railway. Travel from Sörenberg by public transport.